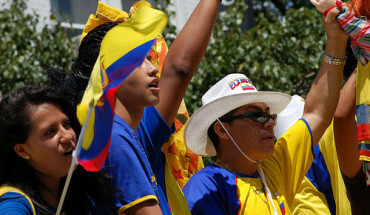 How to Get More Latino’s to Vote? Make Them Laugh at Themselves. 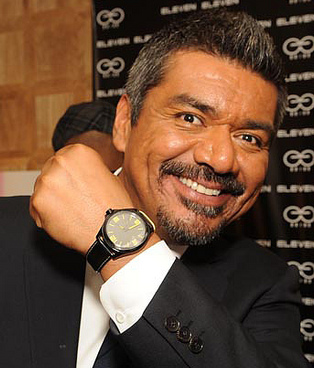 An open letter to comedian George Lopez from our friends at NewsTaco. On our radio partner WNYC’s Brian Lehrer Show, Phoenix based reporter Valeria Fernandez gave insight into how Latinos are eyeing the GOP candidates. 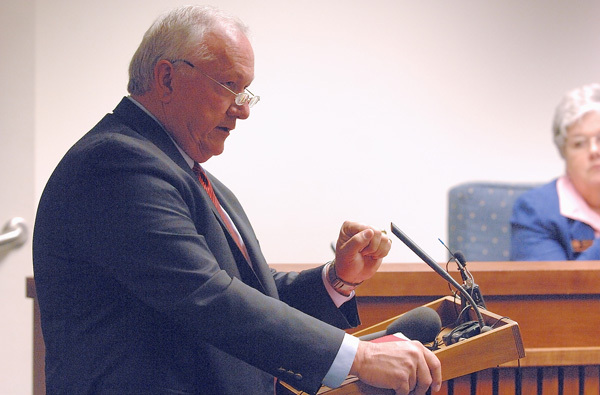 One year after SB 1070 made Arizona infamous for harsh anti-immigration policies, the law’s architects encountered a harsh backlash: State Senator Russell Pearce was recalled from office and Sheriff Joe Arpaio was slammed with a scathing report from the DOJ. 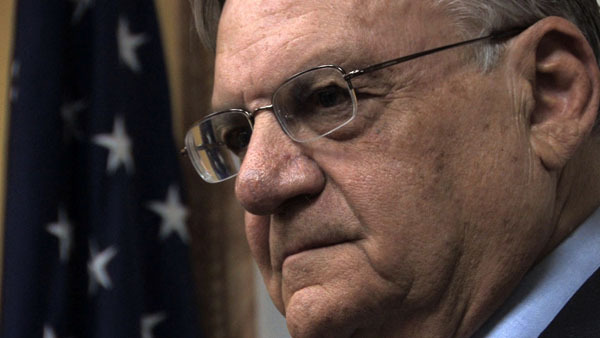 Could Arpaio’s Endorsement Hurt Perry? “America’s Toughest Sheriff” gave Republican presidential candidate Rick Perry his endorsement, but what’s it worth? 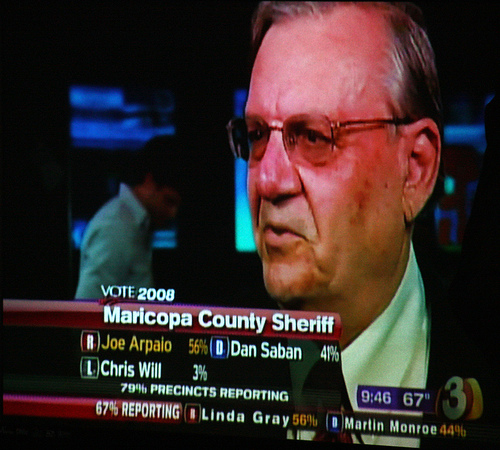 Some in Arizona say it might be more beneficial for Arpaio than for Perry. Maricopa County Sheriff Joe Arpaio has been sued for not turning over documents to federal officials investigating his department. Fi2W’s Valeria Fernandez broke down the lawsuit on PRI’s The Takeaway. 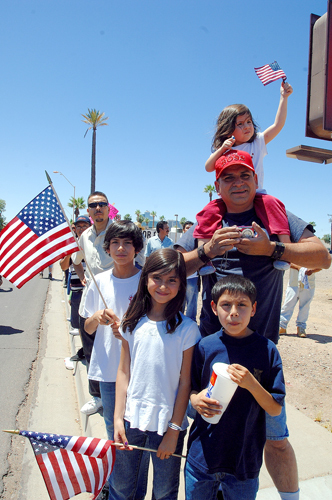 Immigrants in Arizona are relieved SB 1070 was blocked by an injunction, but they say their position continues to be perilous, and the fight is far from over. 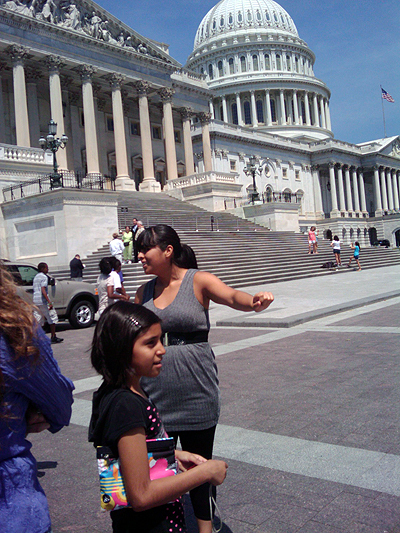 10 year old Katherine Figueroa traveled to Washington, D.C. to speak to members of Congress about the potential impact of Arizona’s SB 1070 on children. 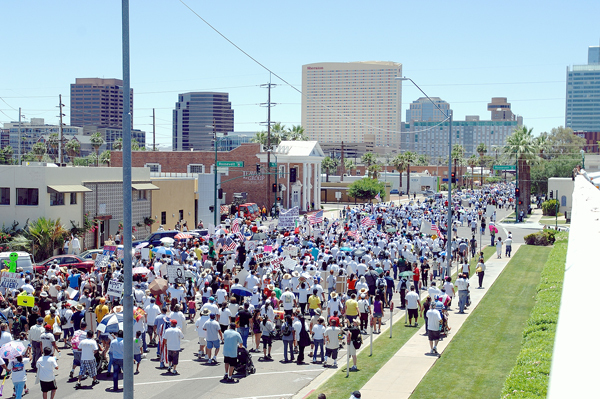 Detained in an immigration raid and subsequently released, the Figueroas were among the thousands who protested in Phoenix on Saturday.